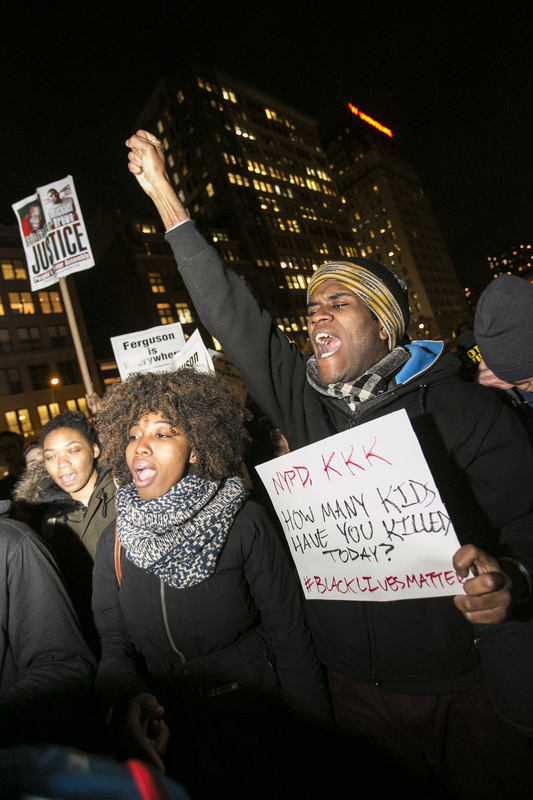 NEW YORK—Near the aptly named Thomas Paine Park in lower Manhattan, Lucy Gentile and Sarah Kerr from Brooklyn, mature white women, held signs that said “Black Lives Matter,” the day after a grand jury chose to file no charges in the death of Eric Garner. Gentile said, “We have had enough, and we are here to support the black community, and every community in New York and across the country, who are sick and tired of what’s happening in the United States.” Helicopters over Foley Square nearly drowned out her words, and a cold wind whipped her short, blonde hair around her face. Garner reportedly sold loose cigarettes as part of his efforts to make a living after ill health forced him to leave his job at the Parks Department. Such sales are not legal, because the cigarettes sold that way are not taxed. Kerr, in lower Manhattan, said she hoped the many police were there to keep everybody safe. She said she thought most of them were, but doubted that every single ‘person in uniform” had that good motive. Across the city, at least 4,000 people had gathered by 6 p.m. to protest early in the evening, according to the NYPD. 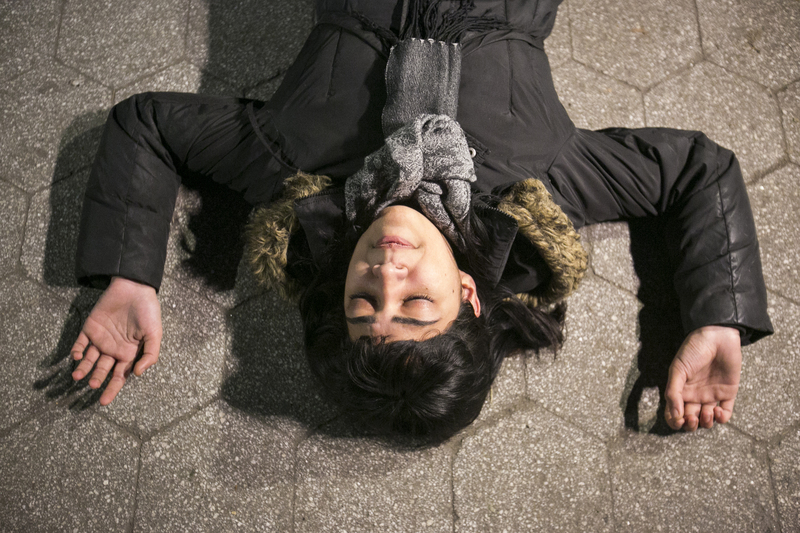 In Union Square, the crowd was about 70 percent white. By 7 p.m. the NYPD reported that the crowds of protesters around the city had doubled to 8,000 people. Police began barricading Foley Square so that it was not easy to enter or exit it. Protesters blocked Broadway early in the evening. Police on motorcycles traveled slowly alongside marchers. Groups of hundreds of New Yorkers gathered, of every race, every ethnicity, every socioeconomic class, and all ages from babies and children to the elderly. 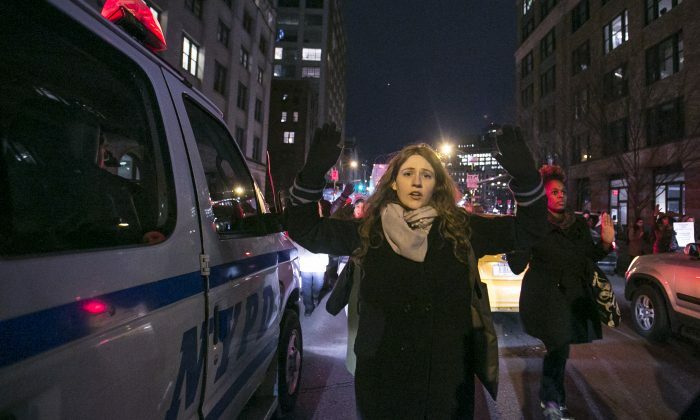 On Wednesday night, protesters shut down the West side Highway, and 30 people were arrested. On Thursday night, it appeared that police had preemptively closed the highway. At Pier 40, there were no cars, and a group of police officers waited. They did not wear full riot gear, but did have helmets with face shields. On the West Side Greenway, drivers honked their horns to show support for the marchers. Additional reporting by Genevieve Belmaker, Shannon Liao and Annie Wu. Protesters are trying to shut down the Holland Tunnel in Manhattan on Thursday night.